There are a number of scripts available that animate the Group Role title for your avatar. While no doubt entertaining, these take advantage of a functionality, which was never intended to serve this purpose. Server side changes which will break Group Tag Animators are going to be rolling out to the grid soon. This change is deliberate: it will sharply restrict the rate at which these updates are allowed. The new limits are generous enough that a human changing things through a viewer should not exceed them, but strict enough to break the 'title animators'. The current Marketplace products which do this are being removed and the sellers notified. Residents on our Release Candidate Regions got an extra bonus Region restart today. We apologize if this extra restart disrupted your Second Life fun, so we want to explain what happened. The Release Candidate channels exist so that we can try new server versions under live conditions to discover problems that our extensive internal testing and trials on the Beta Grid don't uncover. Unfortunately, it's not nearly possible for us to simulate the tremendous variety of content and activities that are found on the main Grid. We appreciate that Region owners are willing to be a part of that process, and regret those occasions when a bug gets past us and disrupts those Regions. Normally, Region state is saved periodically many times a day as well as when the Region is being shut down for a restart. The most recent Region state is restored when a Region restarts. The extra roll today was needed because we found a problem that could have caused long-running Regions to fail to save that state. Without the roll, there would be a significant chance that changes made to those regions might not be there following the regularly scheduled roll because the save data would be out of date. Good news! It’s been fixed, and today's roll applies that fix. The roll took a little longer than usual because we took extra care to ensure that the Region saves would work normally for this roll. We apologize for any disruption to your Second Life today, but at least you can rest assured that Second Life saves! Hello amazing Residents of Second Life! A few days ago (on Sunday, October 28th, 2018) we had a really rough day on the grid. For a few hours it was nearly impossible to be connected to Second Life at all, and this repeated several times during the day. The reason this happened is that Second Life was being DDoSed. Attacks of this type are pretty common. We’re able to handle nearly all of them without any Resident-visible impact to the grid, but the attacks on Sunday were particularly severe. The folks whothat were on call this weekend did their best to keep the grid stable during this time, and I’m grateful they did. Sunday is our busiest day in Second Life each week, and we know there’s lot of events folks plan during it. We’re sorry those plans got interrupted. Like most of y’all, I too have an active life as a Resident, and my group had to work around the downtime as well. It was super frustrating. As always, the place to stay informed of what’s going on is the Second Life Grid Status Blog. We do our best to keep it updated during periods of trouble on the grid. Thanks for listening. I’ll see you inworld! We had a pretty rough morning here at the Lab, and I want to tell you what happened. Early this morning (during the grid roll, but it was just a coincidence) we had a piece of hardware die on our internal network. When this piece of hardware died, it made it very difficult for the servers on the grid to figure out how to convert a human-readable domain name, like www.secondlife.com, into IP addresses, like 216.82.8.56. Everything was still up and running, but none of the computers could actually find each other on our network, so activity on the grid ground to a halt. The Second Life grid is a huge collection of computers, and if they can’t find other other, things like switching regions, teleports, accessing your inventory, changing outfits, and even chatting fail. This caused a lot of Residents to try to relog. We quickly rushed to get the hardware that died replaced, but hardware takes time - and in this case, it was a couple of hours. It was very eerie watching our grid monitors. At one point the “Logins Per Minute” metric was reading “1,” and the “Percentage of Successful Teleports” was reading “2%.” I hope to never see numbers like this again. Once the failed hardware was replaced, the grid started to come back to life. Following the hardware failure, the login servers got into a really unusual state. The login server would tell the Resident’s viewer that the login was unsuccessful, but it was telling the grid itself that the Resident had logged in. This mismatch in communication made finding what was going on really difficult, because it looked like Residents were logging in, when really they weren't. 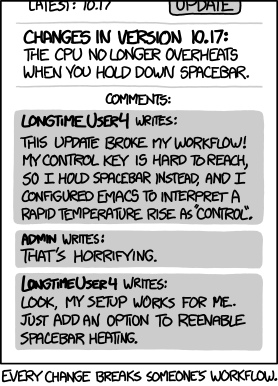 We eventually found the thing on the login servers that wasn’t working right following the hardware failure, and corrected it, and at this point the grid returned to normal. There is some good news to share! We are currently in the middle of testing our next generation login servers, which have been specifically designed to better withstand this type of failure. We’ve had a few of the next generation login servers in the pool for the last few days just to see how they handle actual Resident traffic, and they held up really well! In fact, we think the only reason Residents were able to log in at all during this outage was because they happened to get really lucky and got randomly assigned to one of the next generation login servers that we’re testing. We’re really sorry about the downtime today. This one was a doozy, and recovering from it was interesting, to say the least. My team takes the health and stability of Second Life really seriously, and we’re all a little worn out this afternoon. Yesterday afternoon (San Francisco time) all of the Place Pages got reset back to their default state. All customizations have been lost. We know this is really frustrating, and I want to explain what happened. A script that our developers use to reset their development databases back to a clean state was accidently run against the production database. It was completely human error. Worse, none of the backups we had of the database actually worked, leaving us unable to restore it. After a few frantic hours yesterday trying to figure out if we had any way to get the data back, we decided the best thing to do was just to leave it alone, but in a totally clean state. An unfortunate side effect of this accident is that all of the web addresses to existing Place Pages will change. There is a unique identifier in the address that points to the parcel that the Place Page is for, and without the database, we’re unable to link the address to the parcel. (A new one will automatically be generated the first time a Place Page is visited.) If you have bookmarks to any Place Pages in your browser, or on social media sites, they'll have to be updated. Because of this accident, we’re taking a look at the procedures we already have to make sure this sort of mistake doesn’t happen again. We’re also doing an audit of all of our database backups to make sure they’re working like we expect them to. Since we’re on the topic of human error, I’d like to share with you a neat piece of the culture we have here at the Lab. We encourage people to take risks and push the limits of what we think is possible with technology and virtual worlds. It helps keep us flexible and innovative. However… sometimes things don’t work out the way they were planned, and things break. What we do for penance is what makes us unique. Around the offices (and inworld!) we have sets of overly sized green ears. If a Linden breaks the grid, they may optionally, if they choose to, wear the Shrek Ears as a way of owning their mistake. If we see a fellow Linden wearing the Shrek Ears, we all know they’ve fessed up, and they’re owning their mistake. Rather than tease them, we try to be supportive. They’re having a bad day as it is, and it’s a sign that someone could use a little bit of niceness in their life. At the end of the day, the Linden takes off the Shrek Ears, and we move on. It’s now in the past, and it’s time to learn from our mistakes and focus on the future. There are people wearing Shrek Ears around the office and inworld today. If you see a Linden wearing them, please know that’s their way of saying sorry, and they’re really having a bad day. Baloo Linden and April Linden, in the ops’ team inworld headquarters, the Port of Ops . Someone had a case of the Mondays! April Linden here. I’m a member of the Second Life Operations team. Second Life had some unexpected downtime on Monday morning, and I wanted to take a few minutes to explain what happened. We buy bandwidth to our data centers from several providers. On Monday morning, one of those providers had a hardware failure on the link that connects Second Life to the Internet. This is a fairly normal thing to happen (and is why we have more than one Internet provider). This time was a bit unusual, as the traffic from our Residents on that provider did not automatically spill over to one of the other connections, as it usually does. Our ops team caught this almost immediately and were able to shift traffic around to the other providers, but not before a whole bunch of Residents had been logged out due to Second Life being unreachable. Since a bunch of Residents were unexpectedly logged out, they all tried to log back in at once. This rush of logins was very high, and it took quite a while for everyone to get logged back in. Our ops team brought some additional login servers online to help with the backlog of login attempts, and this allowed the login queue to eventually return to its normal size. Some time after the login rush was completed the failed Internet provider connection was restored, and traffic shifted around normally, without disruption, returning Second Life back to normal. There was a bright spot in this event! Our new status blog performed very well, allowing our support team to be able to communicate with Residents, even in a state where it was under much higher load than normal. We’re very sorry for the unexpected downtime on Monday morning. We know how important having a fun time Inworld is to our Residents, and we know how unfun events like this can be. 10/18/16 Maps: We deployed a fix for “Create Your Own Map” link, which used to generate an invalid slurl. 10/11/16 Marketplace: We disabled fuzzy matches in search on the Marketplace so that search results will be more precise. 9/28/16 We deployed a fix to the Marketplace for an issue where a Firefox update was ignoring browser-specific style sheet settings on Marketplace. 9/22/16 We made a change to the Join flow for more consistency in password requirements. 9/22/16 We updated System Requirements to reflect the newest information. As always, we appreciate and welcome your bug reports in Jira! Please stay tuned to the blogs for updates as we complete new releases. Why the Friday Grid Roll? Hi! I wanted to take a moment to share why we had to do a full grid roll on a Friday. We know that Friday grid rolls are super disruptive, and we felt it was important to explain why this one was timed the way it was. Second Life is run on a collection of thousands of Linux servers, which we call the “grid.” This week there was a critical security warning issued for one of the core system libraries (glibc), that we use on our version of Linux. This security vulnerability is known as CVE-2015-7547. Since then we’ve been working around-the-clock to make sure Second Life is secure. The issue came to light on Tuesday morning, and the various Linux distributions made patches for the issue available shortly afterwards. Our security team quickly took a look at it, and assessed the impact it might have on the grid. They were able to determine that under certain situations this might impact Second Life, so we sprang into action to get the grid fully patched. They were able to make this determination shortly after lunch time on Tuesday. The security team then handed the issue over to the Operations team, who worked to make the updates needed to the machine images we use. They finished in the middle of the night on Tuesday (which was actually early Wednesday morning). 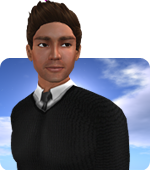 Once the updates were available, the development and release teams sprung into action, and pulled the updates into the Second Life Server machine image. This took until Wednesday afternoon to get the Second Life Server code built, tested, and the security team confirmed that any potential risk had been taken care of. After this, the updates were sent to the Quality Assurance (QA) team to make sure that Second Life still functioned as it should, and they finished up in the middle of the night on Wednesday. At this point we had a decision to make - do we want to roll the code to the full grid at once? We decided that since the updates were to one of the most core libraries, we should be extra careful, and decided to roll the updates to the Release Candidate (RC) channels first. That happened on Thursday morning. We took Thursday to watch the RC channels and make sure they were still performing well, and then went ahead and rolled the security update to the rest of the grid on Friday. Just to make it clear, we saw no evidence that there was any attempt to use this security issue against Second Life. It was our mission to make sure it stayed that way! The reason there was little notice for the roll on Thursday is two fold. First, we were moving very quickly, and second because the roll was to mitigate a security issue, we didn’t want to tip our hand and show what was going on until after the issue had been fully resolved. We know how disruptive full grid rolls are, and we know how busy Friday is for Residents inworld. The timing was terrible, but we felt it was important to get the security update on the full grid as quickly as we could. Thank you for your patience, and we’re sorry for the bumpy ride on a Friday. You may have been among those who had problems seeing avatars yesterday; this is a quick note to share with you what went wrong and what comes next. Early yesterday morning, we deployed an update to the backend service that creates the baked textures and other data that make up your avatar’s appearance. The time was chosen to be at a low point in concurrency because we knew the update would create unusual load (making all-new appearances for every active avatar). It turned out that the load was a little higher than we expected; that probably would have been OK, but we had two simultaneous system failures in the servers that provide some of the key data to the service. By the time we had diagnosed those failures, the backlog of work to be done had grown considerably and the number of active users had also increased. It took a few hours for the backlog of avatar appearances to get caught up. We realize how disruptive events like these can be (our own inworld meetings were full of mostly-gray Lindens and clouds yesterday), and very much regret the inconvenience. We're increasing the redundancy of these services and modifying our deploy procedures to avoid a repeat of this kind of failure in the future. The good news is that this was one of the last backend changes needed for us to be able to roll out the new Bakes-on-Mesh feature on agni; it will, with the updated viewer, allow you to apply system clothing and skins on your avatar even when you're using mesh body parts. Look for the viewer release announcement soon. The software which we use for keeping track of the bugs found in Second Life is long overdue for an upgrade. If you've never interacted with the system before, you don't need to start now; however if you are one of the dedicated Residents who spends time helping us improve Second Life via https://jira.secondlife.com then this message is for you. We are planning the upgrade on Wednesday, August 29, 2018, starting at 8:30 pm PDT. We're allowing a 6-hour window to give us time to chase down any problems, though hopefully we will be done much more quickly. If you are interested in what this upgrade actually means, the good news is that most of the changes should be improvements behind the scenes, or cosmetic upgrades. The look and feel of the user interface will be changing, which isn't surprising since we are going from Jira version 5 to version 7. Importantly for some of you, the new login system actually updates the email address that jira uses for you, every time you log in, instead of only the very first time as the current system does. If you want to see more about the upgrade, there are a few links on the Atlassian (maker of Jira) website: here and here. Mention this blog to me inworld and get a free Linden Bear! We are pleased to announce that our newest viewer update (5.1.0.511732 AlexIvy) is the first Linden Lab viewer to be built as a 64-bit application on both Windows and Mac. We'd like to send a shout out to the many third party viewer developers who helped with this important improvement! For Windows users whose systems are not running 64-bit yet, there is a 32-bit build available as well; you don't need to figure out which is best for your system because the viewer will do it for you (see below, especially about upgrading your system). Building the viewer as a 64-bit application gives it access to much more memory than before, and in most cases improves performance as well. Users who have been running the Release Candidate builds have had significantly fewer crashes. This viewer also has updates to media handling because we've updated the internal browser technology. This version will display web content better than before, and more improvements in that area are on the way. You may notice that this version runs more processes on your system for some media types; this is expected. There is one other structural difference that you may notice. The viewer now has one additional executable - the SL_Launcher. This new component manages the viewer update process, and on Windows also ensures that you've got the best build for your system (in the future it may pick up some other responsibilities). For Windows systems, the best build is usually the one that matches your operating system. For example, if you're running a 64-bit Windows, then you’ll get the 64-bit viewer. If not, then you’ll get the 32-bit viewer. However, some older video cards are not supported by Windows 10, so the launcher may switch you to the 32-bit build which is compatible for those cards. You won’t have to do anything to make this work - it's all automatic - if you get an update immediately the first time you run this new viewer, it's probably switching you to the better build for your system. Important: If you have created shortcuts to run the viewer, you should update them to run the SL_Launcher executable (if you don't, the viewer will complain when you run it, and updates won't work). On Macs, the SL_Launcher and Second Life Viewer processes both show as icons on the Dock when running (hover over them to see which is which); this is known bug, and in a future update we'll fix it so they only show as a single icon - we apologize for the temporary inconvenience, but think you'll agree that the performance improvement (quite noticeable on most Macs) is worth it. Having a 64-bit viewer will help to make your SL experience more reliable and performant (and we have quite a few projects in the queue for this year to that end). However, if you're running older versions of Windows, and especially if you're not running a 64-bit version, you won't be able to get most of those benefits. In our Release Candidate testing, users on 32-bit Windows are seeing crash rates as much as three times as often as those on 64-bit Windows 10. Almost any Windows system sold in the last several years can run 64-bit Windows 10, even if it didn't come with that OS originally. We strongly suggest that upgrading will be worth your while (this is true even if you run a Third Party Viewer, by the way). About Linux … at this time, we don't have a Linux build for this updated viewer. We do have a project set up to get that back. We're reorganizing the Linux build so that instead of a tarball, it produces a Debian package you can install with the standard tools, and rather than statically linking all the libraries it will just declare what it needs through the standard package requirements mechanism. We'll post separately on the opensource-dev mailing list with information on where that project lives and how to contribute to it. A fun bit of trivia: AlexIvy name comes from LXIV, the roman numerals for 64. Recently, our bug reporting system (Jira) was hit with some spam reports and inappropriate comments, including offensive language and attempts at impersonating Lindens. The Jira system can email bug reporters when new comments are added to their reports, and so unfortunately the inappropriate comments also ended up in some Residents' inboxes. We have cleaned up these messages, and continue to investigate ways to prevent this kind of spam in the future. We appreciate your understanding as we work to manage an open forum and mitigate incidents like this. In the short term, we have disabled some commenting features to prevent this from recurring. This means that you will not be able to comment on Jiras created by other Residents. We apologize for this inconvenience as we look into long term solutions to help prevent this type of event from occurring. As promised, we’re sharing some release note summaries of the fixes, tweaks., and other updates that we’re making to the Marketplace and the Web properties, so that those following along can read through at their leisure. 12/01/16 - Maps: Maps would disappear at peak use times. That’s fixed now. 11/22/16 - No more slurl.com. All http://maps.secondlife.com/ all the time. 11/21/16 - We did a minor deploy to the lindenlab.com web properties. 11/09/16 - Events infrastructure stabilization to fix a few listing bugs. 11/04/16 - A minor Security fix was released. 11/03/16 - We released a large infrastructure update to secondlife.com along with security fixes and several minor bug fixes. As always, we appreciate and welcome your bug reports in Jira! Stay tuned to the blogs for future updates as we complete new releases.